Chicken breasts, white meat, is fine for a salad, or chicken tenders. 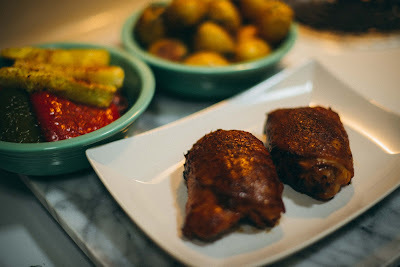 But the really flavorful part of the bird is the dark meat, the thighs and legs. Below is my recipe for juicy, tender and tasty BBQ chicken thighs. When it comes to BBQ sauce, I haven't come up with a recipe I like more than what I can get in the store. 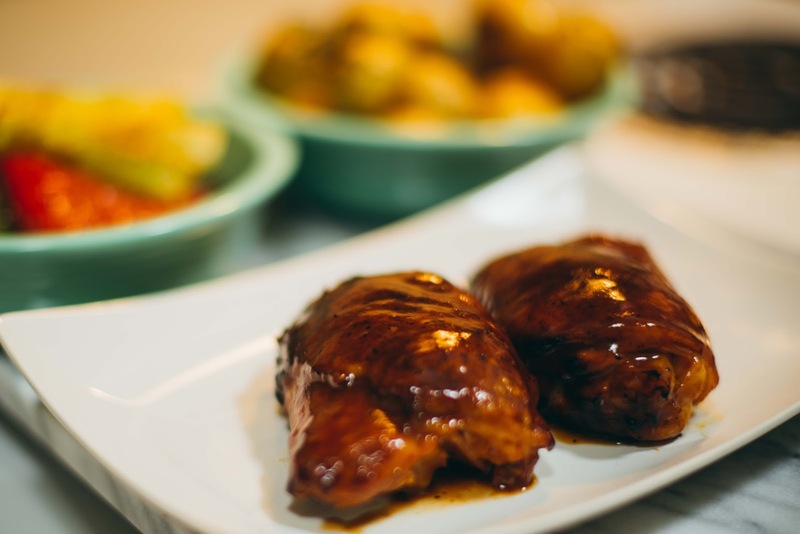 For this recipe I use Sweet Baby Ray's Hickory and Brown Sugar sauce. You can use whatever sauce you like. As for Italian Dressing, I haven't found one that blows the others out of the water, so I go with the house brand from Safeway. 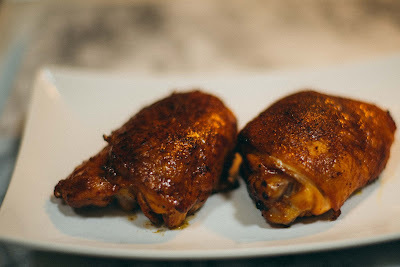 Rinse your chicken thighs under cold water, pat dry with paper towels. 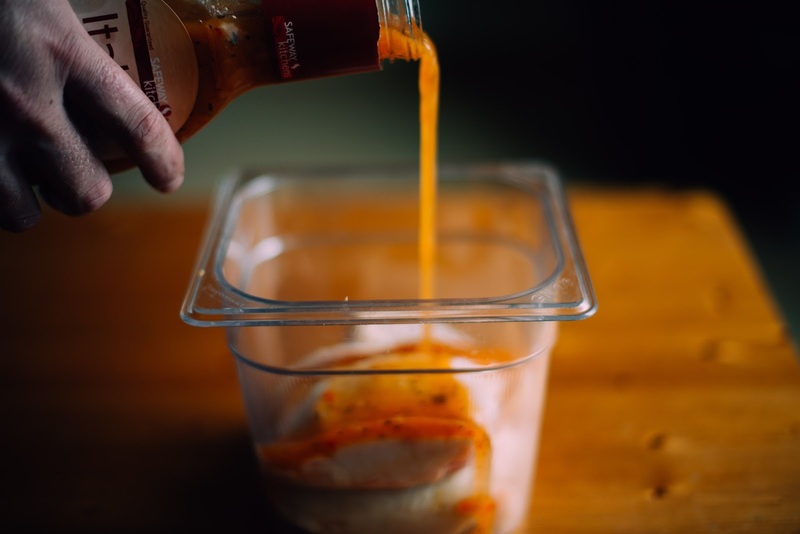 Place the thighs in a container or zip-lock bag for the marinade. Pour the Italian Dressing over the thighs and cover or seal the bag. 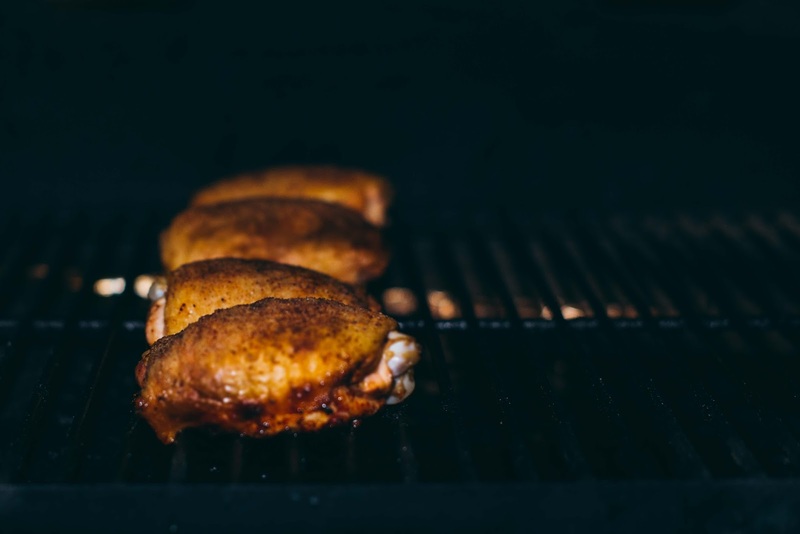 Refrigerate for a minimum of 4 hours to overnight turning occasionally to full marinate all the thighs. Prepare your grill for indirect heat at about 250 degrees. Clean and lube your grill grates. Remove chicken from the dressing and rinse again, pat dry. Pull the skin back from the thigh and trim excess fat from the thighs. Scrape away excess fat from the skin. 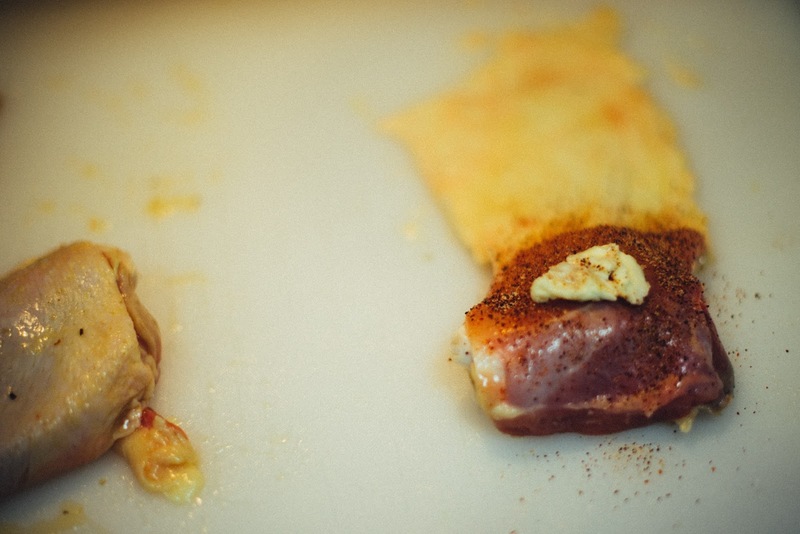 Sprinkle the rub on the thigh, apply a dab of butter and wrap the skin back over the thigh. 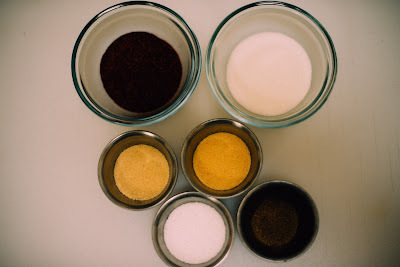 Apply rub to the underside of the thigh and on top of the skin. Place thighs on the grill, skin side up. Cook for 35-45 minutes at 250 degrees. Begin checking your temperature after 35 minutes. When they get to 150 turn the heat up on your grill to high to finish the cook. Remember to keep your chicken away from the direct heat. While your grill is heating up to high prepare your BBQ glaze. Mix 1/4 cup of sauce with 2-3 tablespoons of water to thin the sauce. Mix well over medium heat. Dunk your thighs in glaze to coat, use tongs so you don't puncture the chicken. Return to the grill for a few minutes. Check your temperature again, if they're at 170 pull them off the grill to rest a bit before serving.